Maler und Graphiker (1881-1955). Autograph letter signed, with an original drawing. Rowe. 4to. 2 pp. 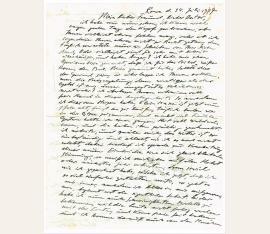 Amicable letter to German physician and art collector Walter Minnich, on fixing the price for a painting named „White Roses“, his son Max and their holidays at a Baltic Sea spa, the bad weather there, and on his way of working. 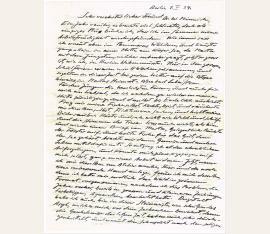 „Unfortunately, I have great difficulties in getting models, because people do not cope with the harvest [...] The People here have such wonderful details in pants, boots, hands, just everything so that I have to gather it all; but it’s another question if I drop it afterwards [...]“ (transl. 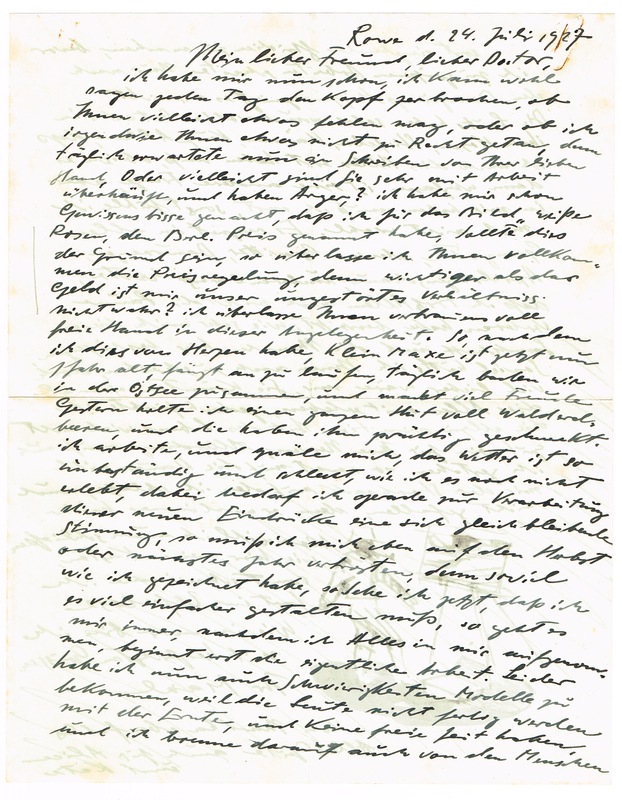 from the German original). – Pechstein’s pen and ink drawing depicts himself painting in heavy rain on swamped ground. Maler und Graphiker (1881-1955). 11 autograph letters signed. Berlin (8) und Rowe (2). 4to. 24 SS. 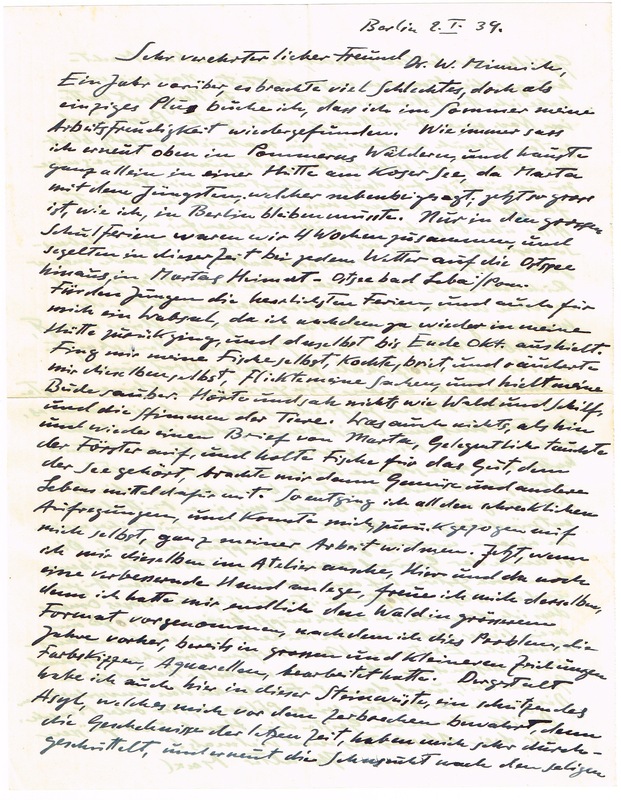 A series of considerable letters to German physician and art collector Walter Minnich, reporting from strokes of faith which arise from Nazi Germany and personal misfortune such as a severe pneumonia he had to suffer from in the mid-thirties, the low number of exhibitions first and then, finally, the exhibition ban, his dismissal from the Academy, concerns about subsistence, the offer or a apprenticeship position in Istanbul, the financially painful fraud by an art dealer, the threat of war, etc.